The Winston Gallery of Houston, Tx. reached out and asked if id be interested in participating in a community art project with some amazing kids of the Zina Garrison Academy tennis summer camp. a few other artists and i broke the kids into groups and designed and painted the planters that brought this space to life. Being able to collaborate with “ART FOR GOOD” was an amazing experience allowing me to network with artists / and art appreciators from across the region. 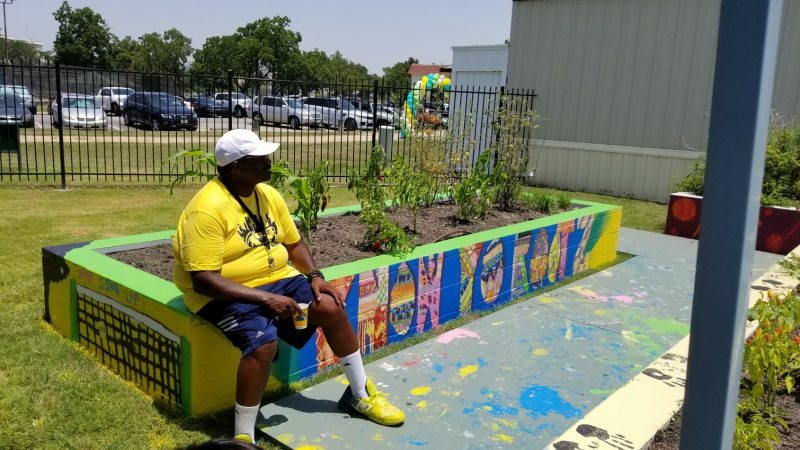 WHAT: On Friday, July 20, 2018 The Zina Garrison Tennis Academy along with Winston Art completed a beautification art project in the ZGA Community Garden located at MacGregor Park. For two days, summer campers painted, sweated and expressed their artistic side painting four cinder block planters. 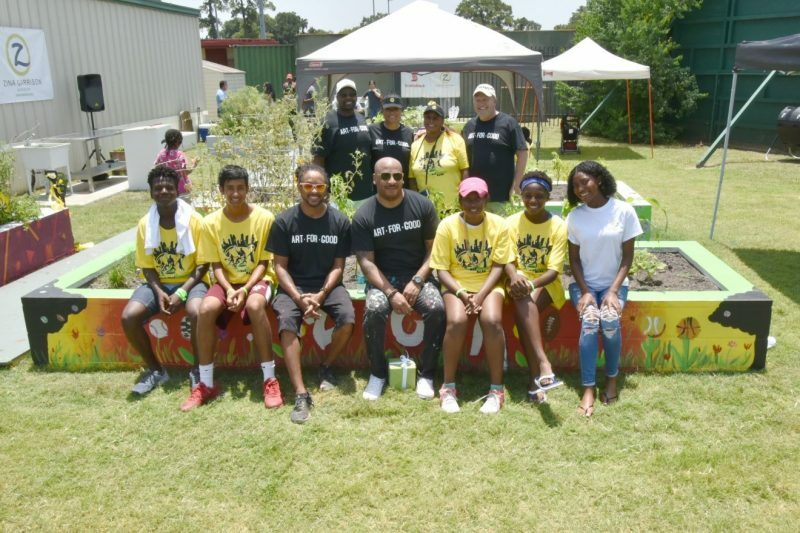 The ZGA Participants got a little help from local and national artist, Ayo Scott, Raasin McIntosh, Robert Hodge, Tempest Williams and Tara Conley. The projects ribbon cutting was held on Friday with City Councilman, Dwight Boykins, District D in attendance. MacGregor Park lies within his district. Tennis Legend, Zina Garrison, thanked all those in attendance including Judge Dwight Jefferson and his wife, Judge Elaine Jefferson and Cheryl Hultquist, Executive Director of Houston Tennis Association. The ZGA Community Garden was donated and made possible by Cheerios and Walmart this spring. 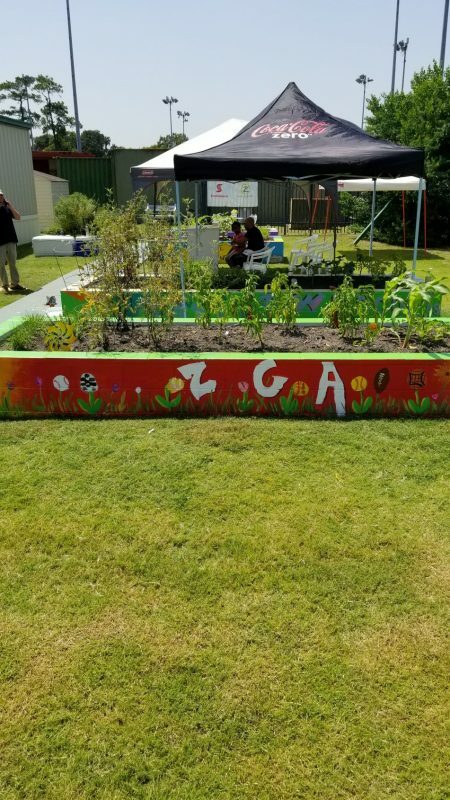 The garden is a space for the ZGA kids to learn about pollination, wellness, and sustainability growing their own food. New Orleans native, Ayo Scott, says bringing Art and Tennis together is not that foreign of an idea. “Both tennis and art allow kids to be creative. 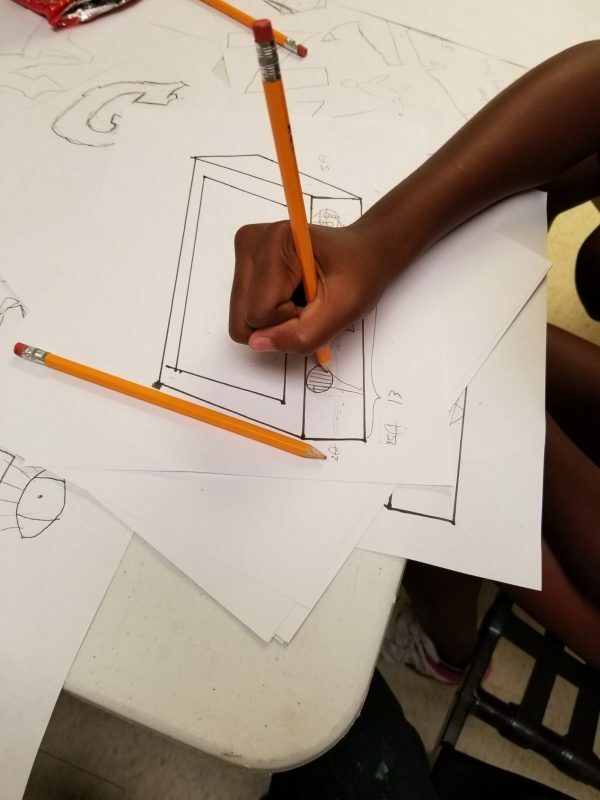 The kids collaborated and used teamwork to come up with the drawings for their planters so these two worked hand and hand.” Garrison added that tennis is a creative outlet and many tennis stars like herself, Serena and Venus also accel in art and design. The crowd was given a tour of the new 1600 square foot trailer donated by UrbanCraft Homes. The old trailer was severely damaged during Hurricane Harvey and was no longer safe for the children or staff. The new, Stephens Reiter Education Facility has a learning center, wellness and computer lab. The University of Texas at Austin has a college prep program that is also housed at the park. Winston Art, a new contemporary art gallery in Houston sponsored today’s event. 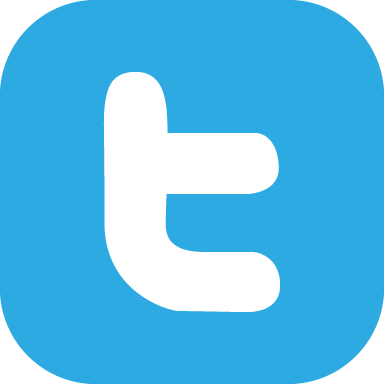 Other sponsors include; Brother’s Produce, Chef Michael Gabriel, CPanel, UrbanCraft Homes, Phoenicia Foods, Scotiabank, UT Austin and Woodforest Bank.